Resistance is floor tile. Or something. 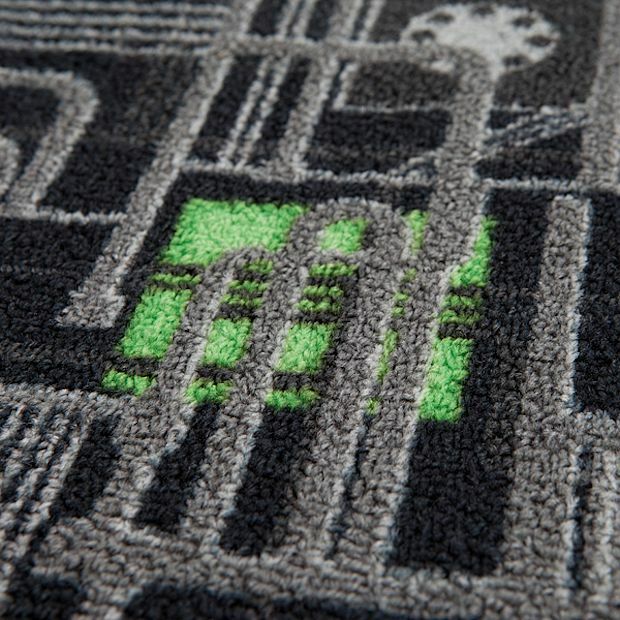 This awesome rug is the best way to de-feet the Borg. 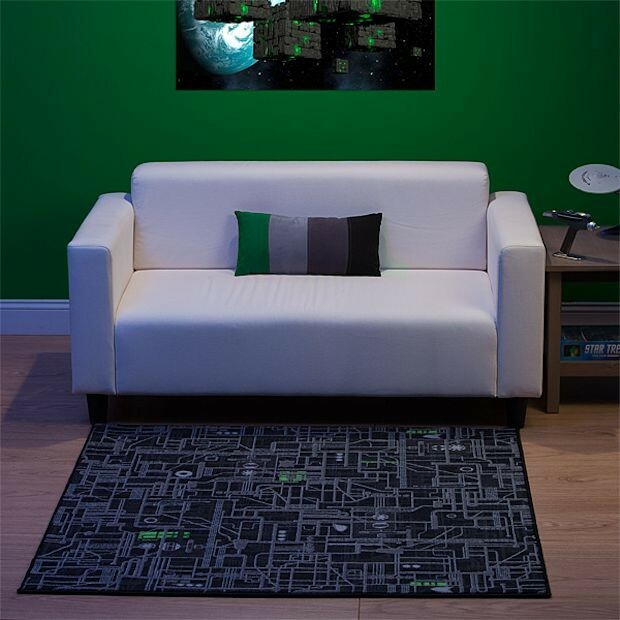 Even though this Borg Cube rug won’t whisk you away and make you a part of the Collective when you step on it, it will look great in your man cave or Star Trek themed room. 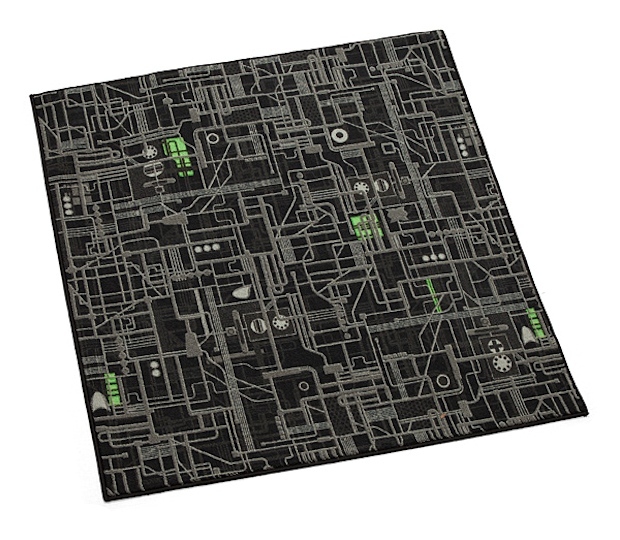 This cool rug measures 52″ x 52″ and it is just waiting for your feet fleet to encounter it. You can get yours for only $59.99(USD) from ThinkGeek. You’ll want to get your Star Trek ships out and play on the floor. Pew pew pew! Tell Starfleet, we have engaged the Borg!